If you’re a serious wine collector, you may want to consider protecting your investment against fire, theft, breakage, flood, the breakdown of a storage unit, power failures, improper handling, and a range of other potential misfortunes. An insurance policy can often offer in-depth coverage at an affordable price. Your standard homeowner’s policy may provide adequate protection against damage from fire, lightning, explosion, or theft, and you can extend that insurance with specialized coverage. Insuring a collection valued at $100,000 would likely add about $450 to your annual premium. If your home has a fire alarm, sprinklers, and a theft-deterrent system, you may get a more favorable rate. In addition to Firemen’s Fund, AXA’s fine art division and Chubb offer wine-collection insurance, and auction houses such as Sotheby’s and Christie’s can refer collectors to qualified appraisers and merchants. To help keep track of your collection for insurance purposes, Vinfolio (www.vinfolio.com) offers software that automatically values a collection, provides recommended drink dates, and uses a bar-coding system to check off what you consume. The company’s auto-valuation service, which adjusts the value of a collection as market prices change, can be helpful in setting insurance limits. 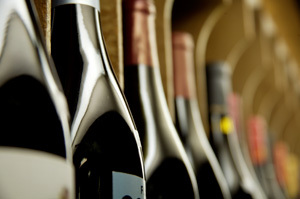 A wine’s value often increases as it approaches its peak drinking years and decreases once it passes them. Any good wine insurance policy should provide protection from a wide spectrum of perils and also offer new-purchase coverage that takes into account additions to itemized collections. Such protection automatically provides coverage for up to 100% of the itemized limit for new wine purchases for up to 90 days. During that window of time, policyholders can report new acquisitions to their agent. Worldwide insurance coverage protects wine while it is in transit anywhere in the world. To replace wine that has appreciated in value, the better policies pay up to 150% of the agreed-upon amount.